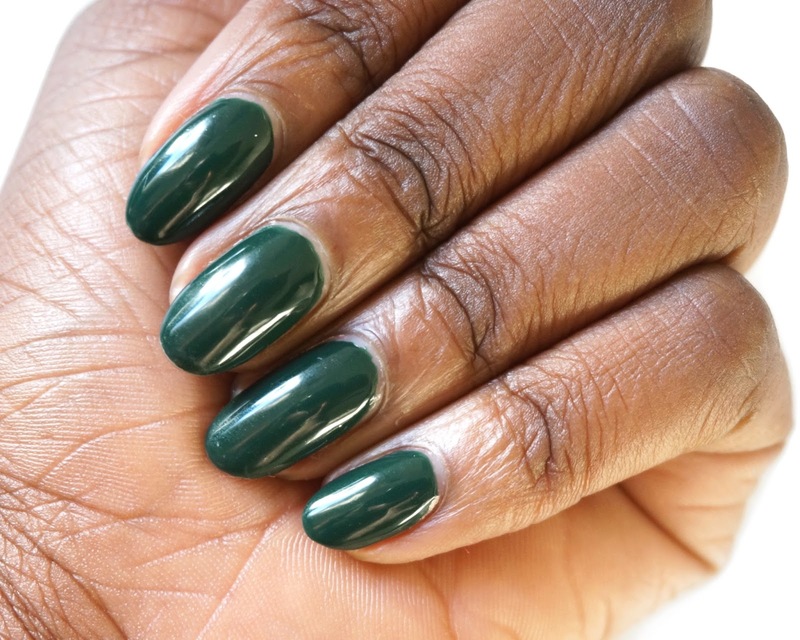 This week's nail paint of the week features Darjeeling Darling, a jaded forest green shade from Smith & Cult's AW16 collection. 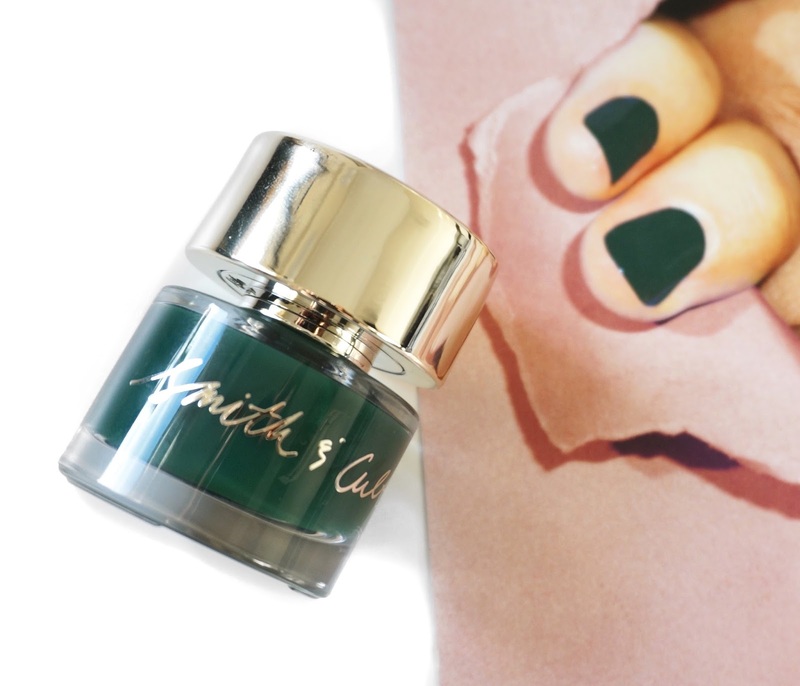 The Smith & Cult AW16 collection features two new colours, Darjeeling Darling and 1972, but given that green is my all time favourite colour I have opted to swatch this colour first. As you can see from the pictures, Darjeeling Darling is the ideal shade to compliment your autumn/winter colour palette. 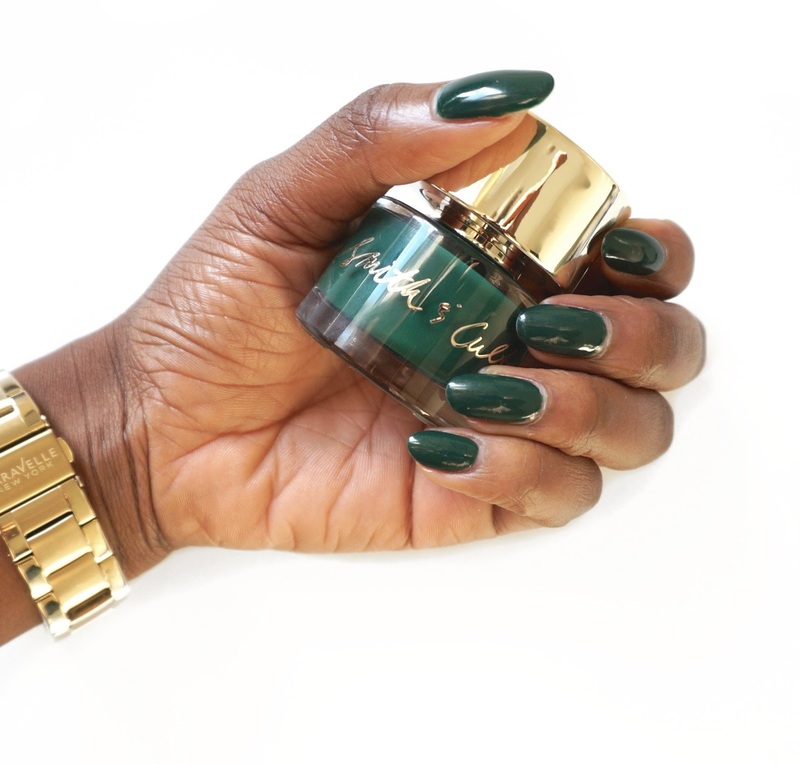 Given that this is not my first time wearing a Smith & Cult nail paint, I knew what to expect from wearing this polish for the week. There are cases whereby a new colour way from a brand can sometimes have a different formulation and can lead to disappointing results but rest assured that is not the case when it comes to Darjeeling Darling. My verdict on Darjeeling Darling is very much in line with that of Lovers Creepers and Kundalini Hustle. The polish is long lasting with a high gloss finish, chip resistant and free from crack formations. If it wasn't for the fact that I was eager to wear 1972, the opaque rose gold shade from Smith & Cult's AW16 collection then I would be wearing Darjeeling Darling on my nails for a little longer. As after a week's wear it still looks as good as a freshly done manicure. 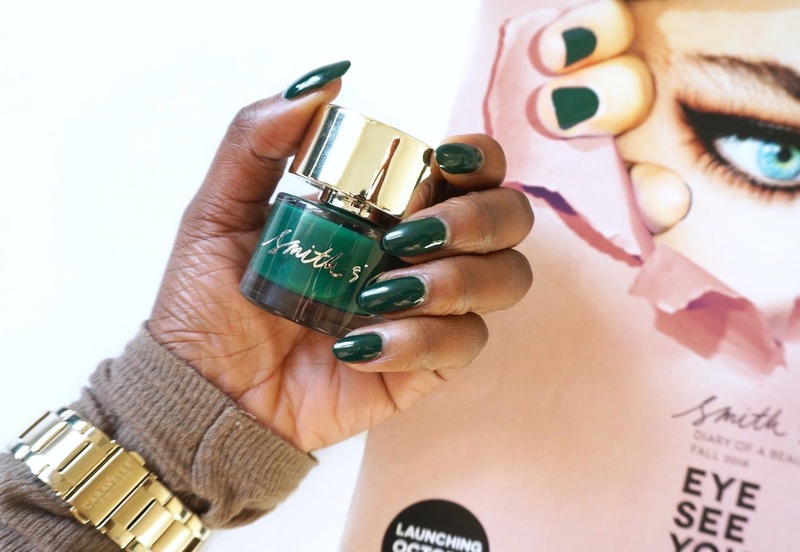 I find the brushes from the Smith & Cult nail paints to be easy to apply on to my nails. The formulation is not too thick and not too thin either making it easy to apply and achieve the finish that you want. 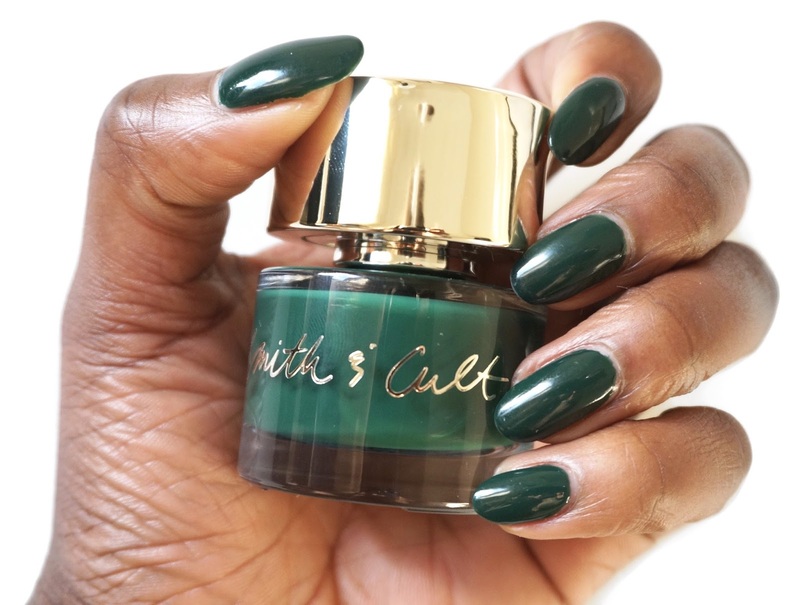 It is worth knowing that all Smith & Cult nail lacquers are cruelty free, vegan and contains an exclusive 8-free formula, free from Dibutyl Phthalate, Toluene, Formaldehyde, Formaldehyde Resin, Camphor, Xylene, Ethyl Tosylamide or Triphenyl Phosphate. To achieve the finish you can see in the pictures, I first applied a base coat to my nails as I always do before then applying three coats of Darjeeling Darling and then finishing off with a top coat to seal the deal. Applying a top coat allows the polish to last longer and retain its high gloss finish. I will be wearing 1972 next so you can expect to see some swatches for next week's nail paint of the week. In the mean time you can grab Darjeeling Darling or any other Smith & Cult shades from the likes of net-a-porter.com, space NK, Cult Beauty to name a few.